Oyster fishermen working in Apalachicola Bay, Fla.
Caption: Oyster fishermen working in Apalachicola Bay, Fla. 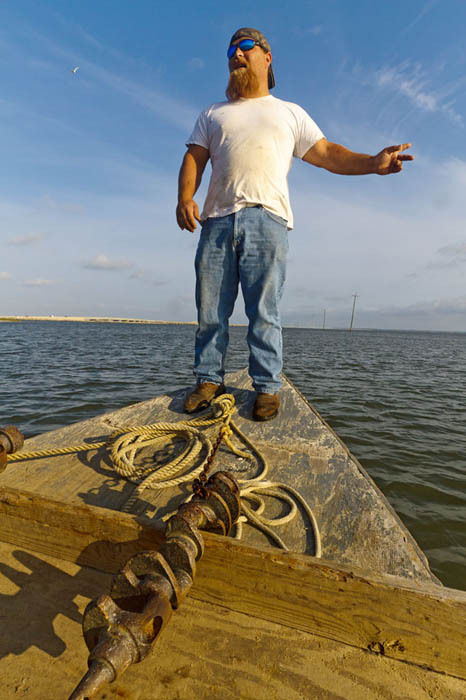 Comments: Oyster fishermen working in Apalachicola Bay. Fishermen here do not dredge but, instead, use tongs, long wood handles with a metal basket on the end. They dip the basket into the oyster bed, shift it around to loosen the oysters, then grab the oysters with the basket and deposit them onto a shelf on the boat where they are examined for legal size. This is one of the few places in the US where tongs are still used.